Very well done and very informative. It is of special importance for me, since I am leading a research project on participatory arts. This is helpful information. Thank you. Love the way in which you have demonstrated exactly what you are passionate about by providing multiple ways of understanding and sharing what the ‘movement’ is about! Love following you! 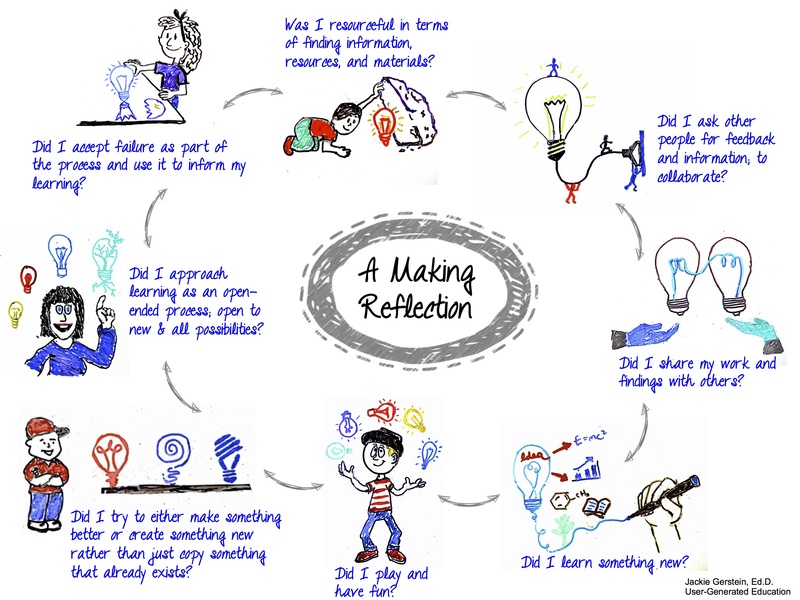 Decide for yourself – Are you a Maker? How would you shift your pedagogy, thinking and practice, in order to ensure the needs of your students are being met and does technology play a role in that shift? Does it need to? I think that giving students ownership, collaborating and cooperating in the teaching and learning decisions that happen should be common place and not out of the ordinary. The Maker Movement enables this to happen. Please share your experiences and stories – I love to hear them! Hi Jackie! Inspired to write a blog post about the probs associated with teachers not only feeling like they need, but in most cases wanting, predictable outcomes for student learning. I see this as a HUGE issue in stifling students’ ability to think critically, come to their own conclusions, take risks, create and innovate. 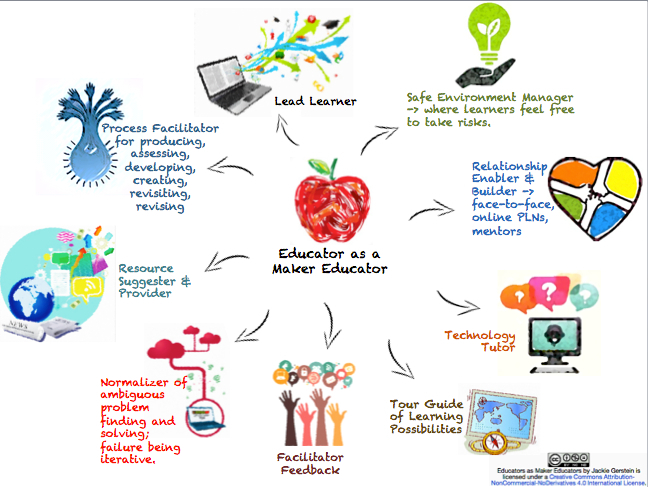 Am I OK to share your slide and its inclusion in the the Mindset of the Maker Educator? Sure, Deb – all my work is Creative Commons share with attribution. Looking forward to your blog. Thank you for bringing this to the forefront of growth mindset learning!